From Pastor Dan: I’ve visited our three churches, and for the most part, our churches fared pretty well through the incredible storms this past weekend. I’ve met with some of our folks and I haven’t received any requests for dire need so far. However, we encourage you to check in on your neighbors and simply ask how they are doing after the storm. Perhaps we can provide for some in a time of need. There are others in our immediate area who are not as fortunate, and are in need of help. I’ve talked with our Emergency Relief Coordinator, Toni Janis, about Canaan UMC on Rt. 61, and they are in dire need in many ways – not just the church but also members whose homes are under water. (1) Pray! first and foremost, for those who are in need across our entire state and those currently responding to all forms of need. (3) Volunteer: If you would like to volunteer to assist in the relief efforts following the historic flooding all around South Carolina, you must be training. Please join ERT and help people recover from the flooding disaster in SC. • Kitchen, cleaning, and microfiber towels not acceptable. • Rattail combs and combs without handles are acceptable with a minimum of 6 inches of teeth. • No emery boards, please. • Do not remove from original packaging. • One-gallon size sealable bag only. Assembly Directions: Set the $1.00 for toothpaste aside to be included in a separate envelope. Lay out the hand towel flat on a table. Lay the washcloth flat in the center of the hand towel. Place all remaining items on top of the washcloth. Fold over the sides of the hand towel to cover all of the items. Fold over one end of the hand towel so that it covers all of the items. Grasp the bundle of items tightly and roll over the remainder of the hand towel tightly. Place the tightly rolled bundle in the plastic bag. Remove as much air as possible and seal the bag. See website for more information: https://www.umcor.org/UMCOR/Relief-Supplies/Relief-Supply-Kits/Health (You can drop off Health Kits at all three of our churches in the Welcome Area (vestibule), and we will make sure they get to UMCOR for distribution). As we seek to respond in a way that honors our Connection to others as followers of Jesus Christ, let us petition our Heavenly Father for all the needs of those who are affected. He is with us, and cares deeply for us all, and He calls us to be hands and feet, and to be those who bring the Good News by our actions and by sharing His great eternal Love. 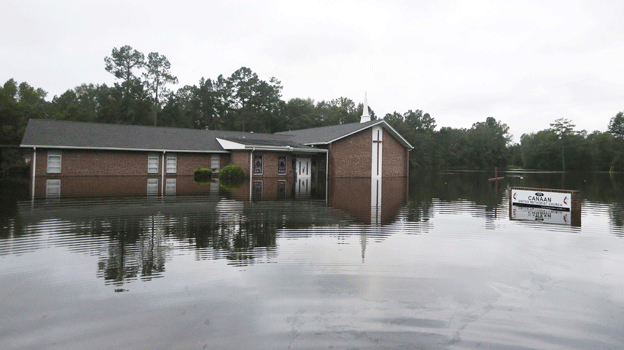 “We are a connectional church, and we are not alone as we seek to respond faithfully to communities in crisis,” said SC UMC Conference Bishop Jonathan Holston.